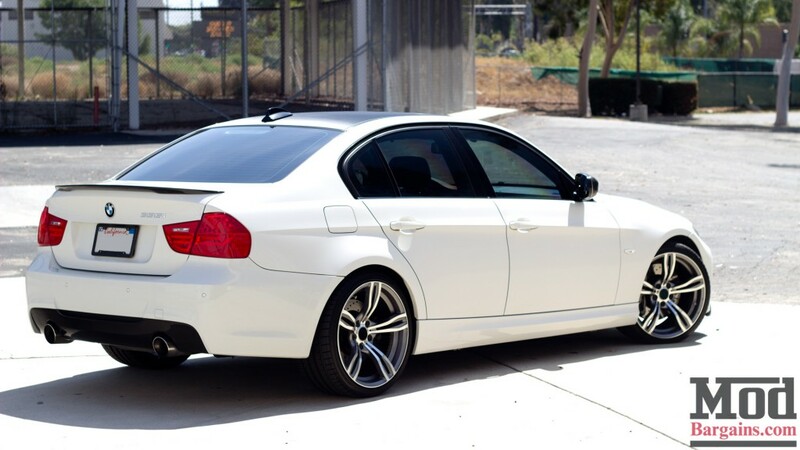 White and black color combos on 3-Series BMWs seems to be pretty popular as of late, but it still never gets old. We recently featured Alex Lawson’s E92, and this week it’s that similar, “clean and subtle” look from Allen Yu and his 335i E90. 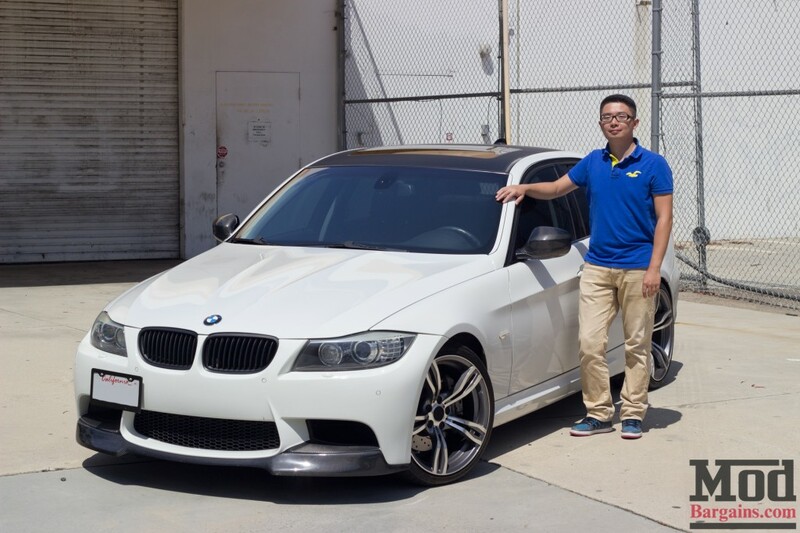 Allen has been coming to ModBargains ever since he started modding his E90, with his favorite mod being his wheel and brake combo. These wheels are 19″s filling out the wheel-well gap perfectly. Behind his wheels are some big rotors, a Stoptech Stage 2 Brake Upgrade, with drilled and slotter rotors for maximum cooling. 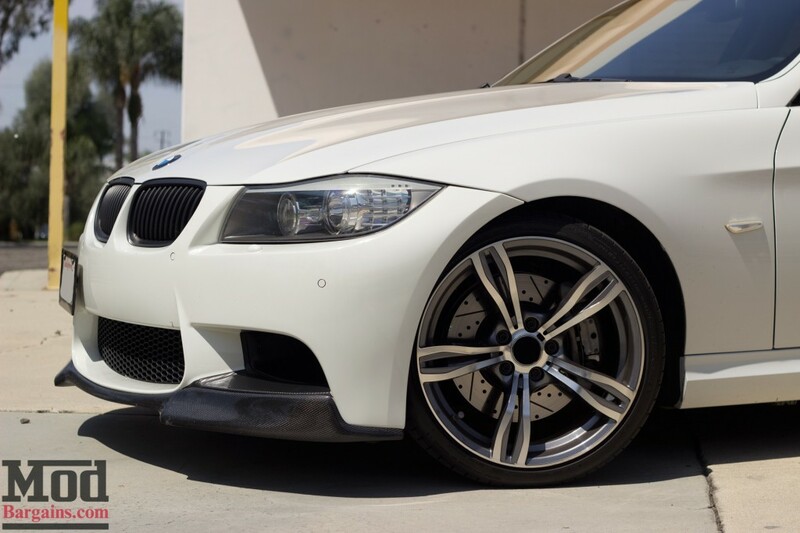 The wheel and brake combo looks great on this E90. 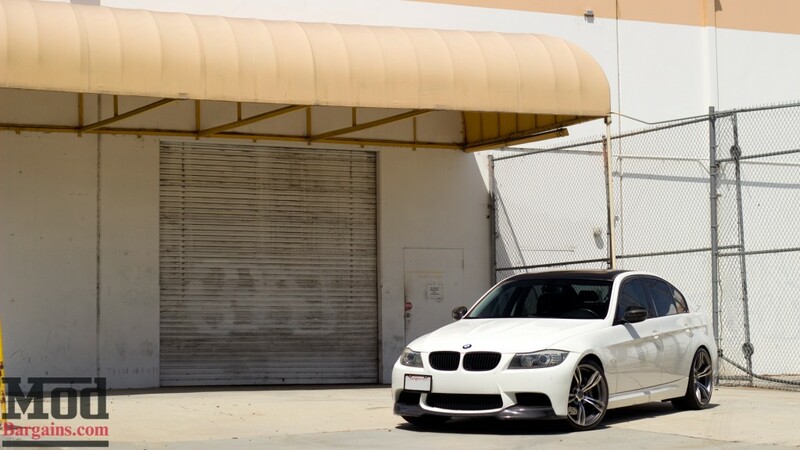 You may have also noticed Allen’s front lip, a Carbon Fiber Front Lip for the E90 with an M3 front bumper. 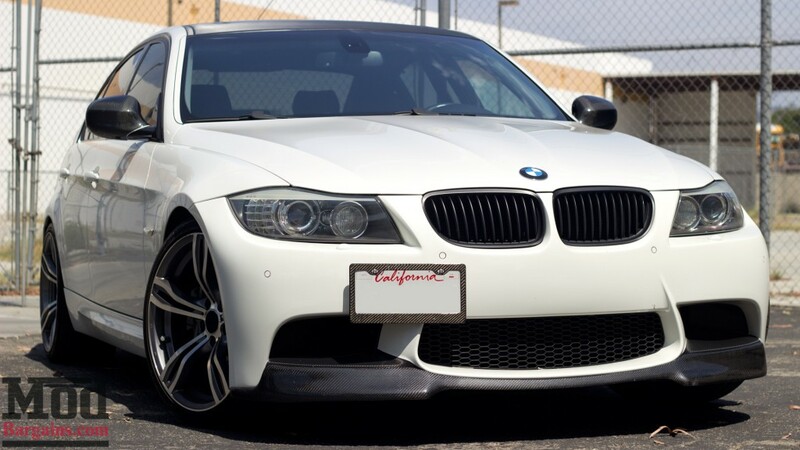 This helps to lower the profile of the car, while also adding some race-inspired style to the already sporty BMW. 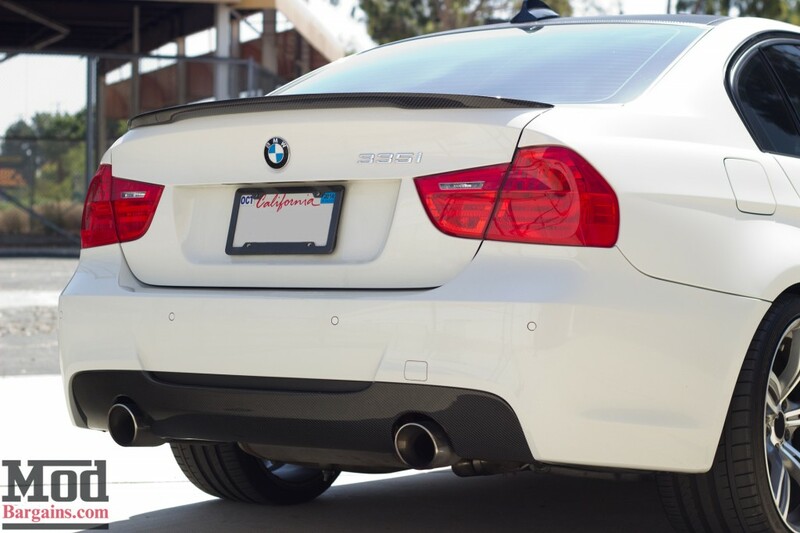 Out back Allen has a MagnaFlow Cat-Back Exhaust and an M-Tech Rear Bumper and Carbon Fiber Diffuser. 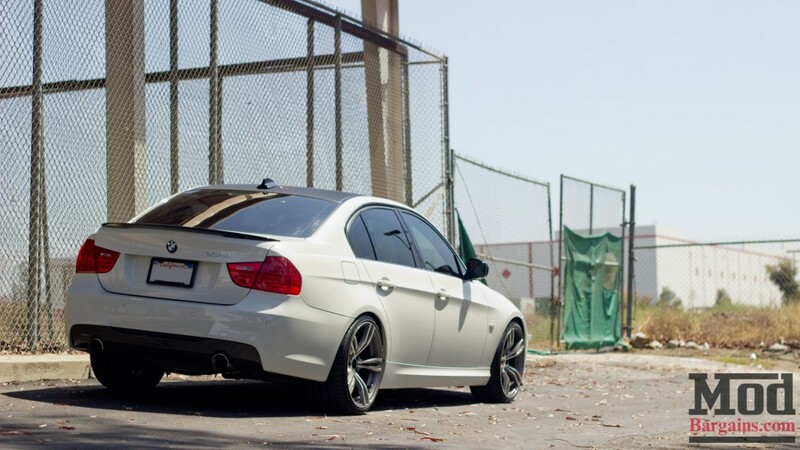 The three go so well together, adding a nice tone and clean style to this E90. 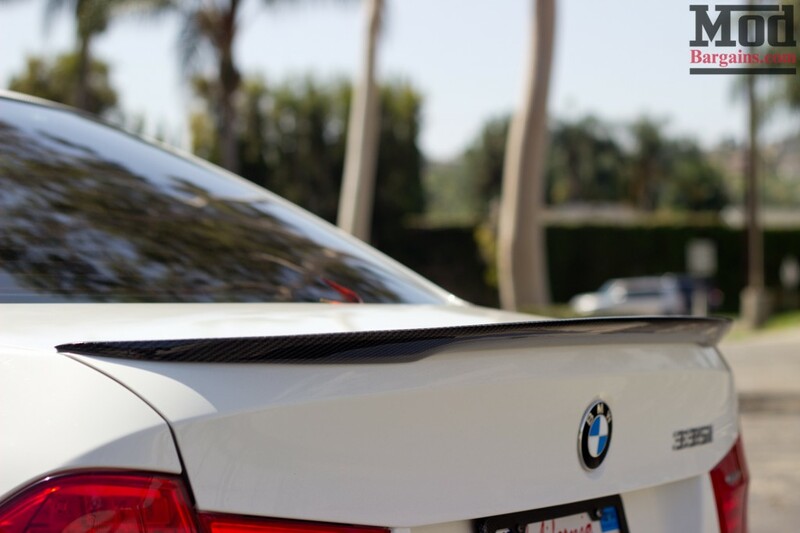 The added finishing touch of a Carbon Fiber Performance Style Trunk Spoiler just tops off the clean and simple style of this BMW. Again, we have another example of what these performance machines are capable of: luxury, style and fun. Although some people might think its difficult to have your own style when it comes to modifying these cars, all that really matters is that you are proud to stand in front of your car and call it your own. Big thanks to Allen Yu for letting us do this photoshoot, and being a part of our ModBargains Champions program.